Installation image. Lorna Fencer Napurrurlab. Photo by Mark Ashkanasy, RMIT Gallery, 2012. 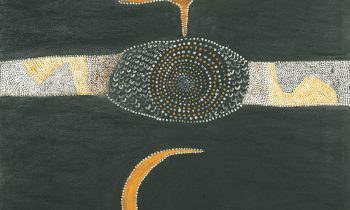 Yulyurlu – Lorna Fencer Napurrurla is the first major survey exhibition of desert artist Yulyurlu (c1924-2006) that traces her development as a highly original artist during her twenty years of practice. 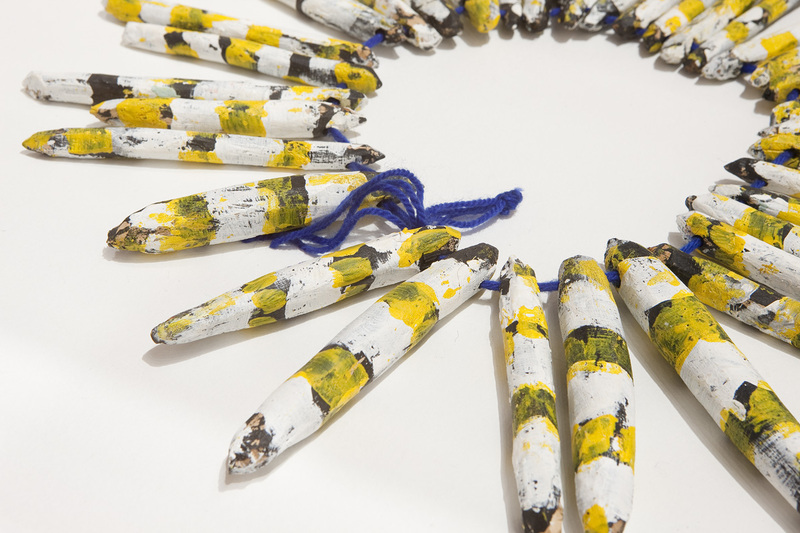 This exhibition highlights her importance within the Lajamanu region and positions Yulyurlu within the broader framework of the central desert art movement. 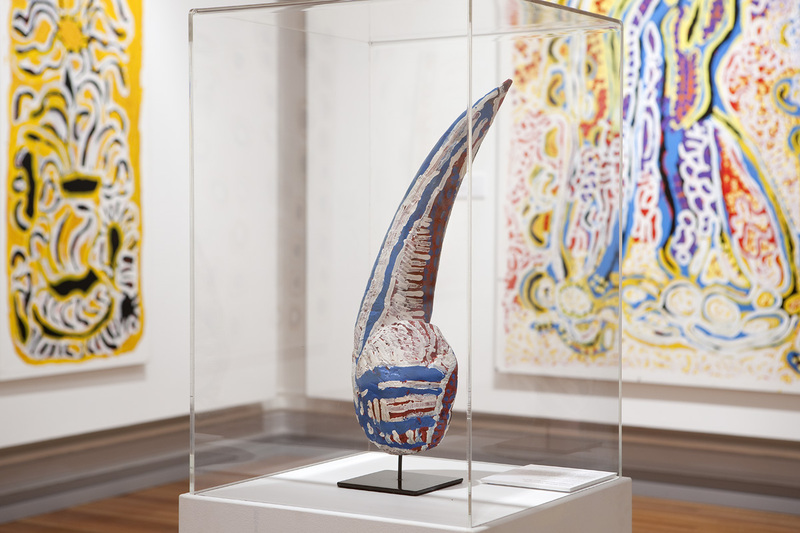 The Warlpiri artists have been involved in painting since the 1970s and are the most dominant desert group in terms of geographic spread. 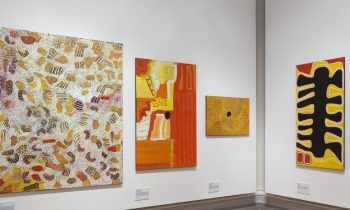 Their involvement in the Lajamanu painting movement is an important and distinctive chapter in the broader Warlpiri western desert art movement. Yulyurlu was arguably the best known Warlpiri artist from the Katherine/Lajamanu region in the Top End of the Northern Territory. 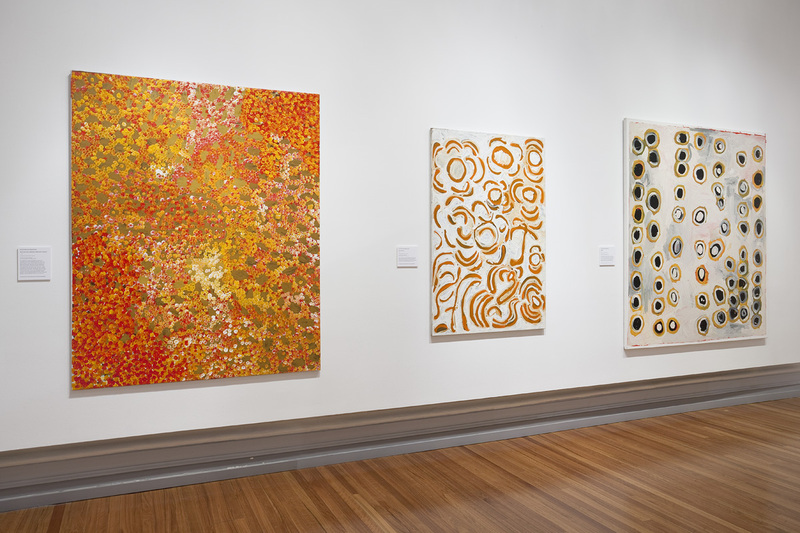 Even so, her pioneering role within the Warlpiri art tradition has never been fully appreciated. Her authority over ceremonial imagery gave her the confidence to be experimental. Her geographic mobility and independence also exposed her to a range of different marketing opportunities and this was no doubt influential in encouraging her individual expression. 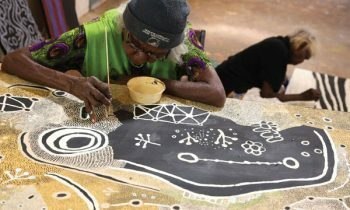 After moving to Katherine in the late 1990s Yulyurlu was a major force in the revival of Mimi Aboriginal Arts and Crafts and remained as it’s most committed and high profile artist until her death in 2006. 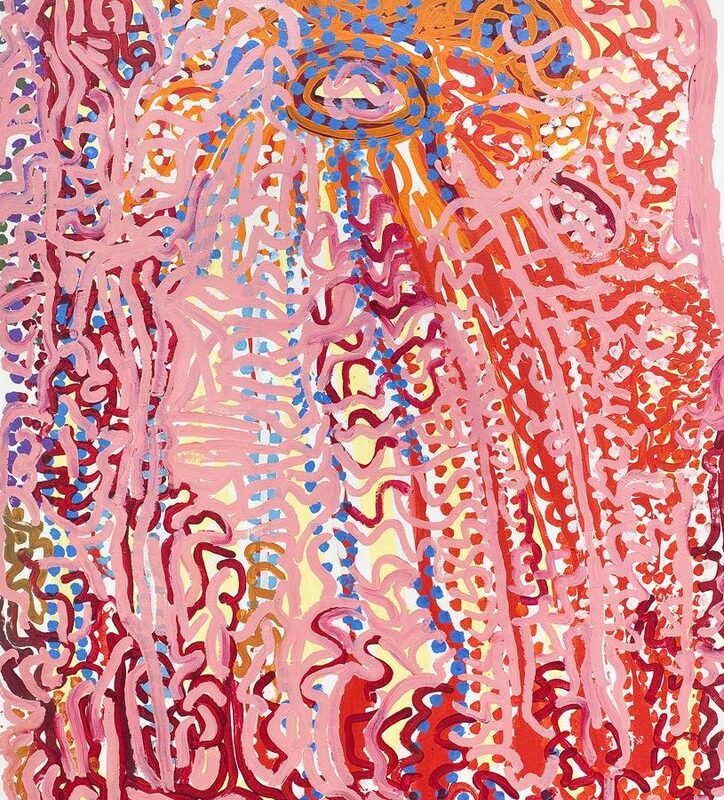 Yulyurlu is often likened to the famous Emily Kngwarreye because of her gestural and spontaneous reworking of the central desert idiom, even though it is doubtful that these women from different regions in the Territory were even aware of each other’s work. Both were senior law women whose strength of character is reflected in highly personal styles that departed radically from the classic iconography of desert art. When Yulyurlu started painting in 1986 her work tended to bright colours and an asymmetry that became more pronounced in her more mature paintings. 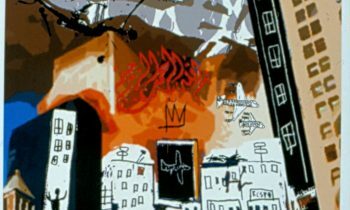 Her designs became looser using broad gestrual brush strokes and a rich over layering of paint. The energy and vibrancy of her work created considerable interest in the market place and this has been sustained since her death. During her lifetime Yulyurlu achieved considerable national acclaim. 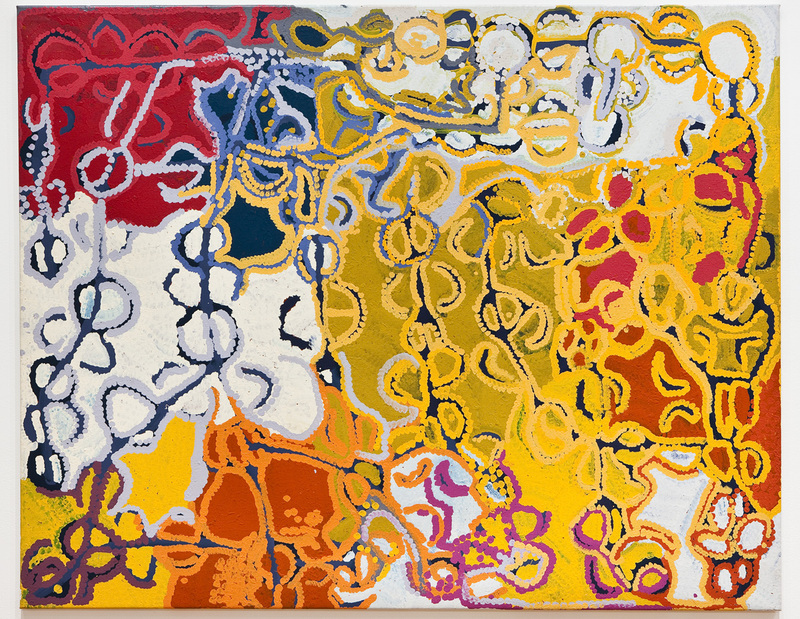 A prolific artist, she has been represented in many solo and group selling exhibitions as well as in three major exhibitions curated by The Ian Potter Centre, National Gallery of Victoria, Melbourne.